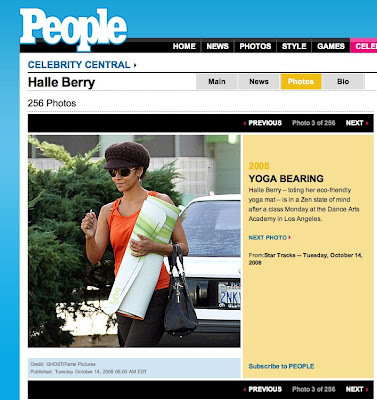 Halle Berry wearing Pamela Froman! 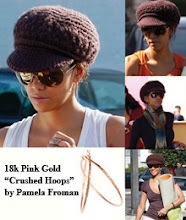 It looks like Halle Berry loves her new Pamela Froman "Crushed Hoops" in 18k Pink Gold! She's been spotted wearing them all over town!! 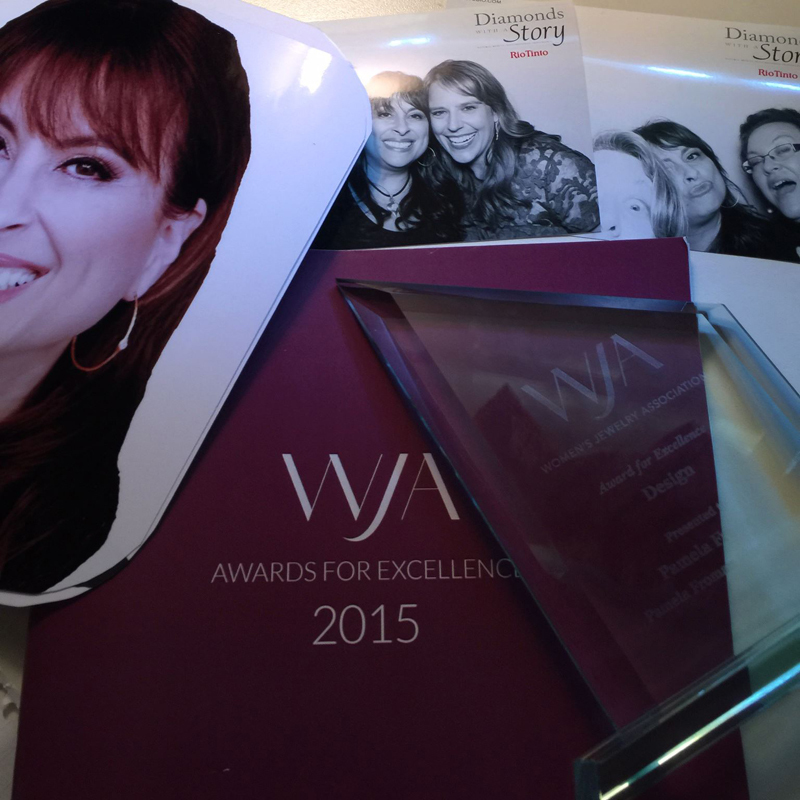 InDesign Magazine recently identified Pamela Froman as a designer to watch this year. 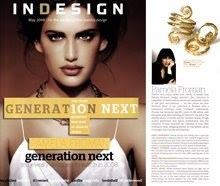 "Generation Next: 10 jewelry designers to watch in 2008" polled a panel of top fine jewellery retailers and industry experts to determine the up-and-coming artists who are sure to be the next big names in jewellery design. 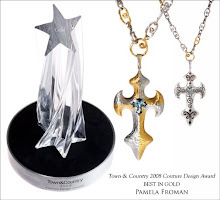 Froman's unique design aesthetic, master craftsmanship and the versatility of her pieces earner her a place among this elite group of designers. 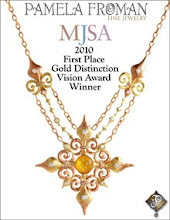 According to one of the panel members, World Gold Council's Duvall O'Steen, "Pamela has literally reinvented tri-color gold. [Her pieces] are unlike anything else on the market." 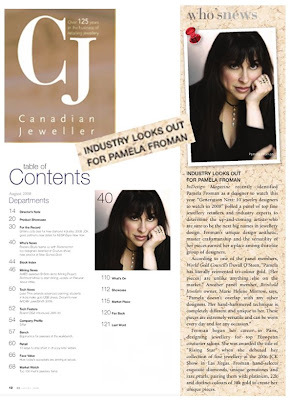 Another panel member, Reinhold Jewelers owner, Marie Helene Morrow, says, "Pamela doesn't overlap with any other designers. Her hand-hammered technique is completely different and unique to her. 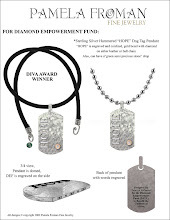 These pieces are extremely versatile and can be worn every day and for any occasion." 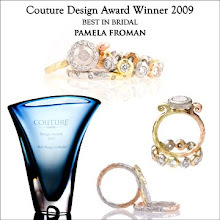 Froman began her career in Paris, designing jewellery for top European couturier salons. 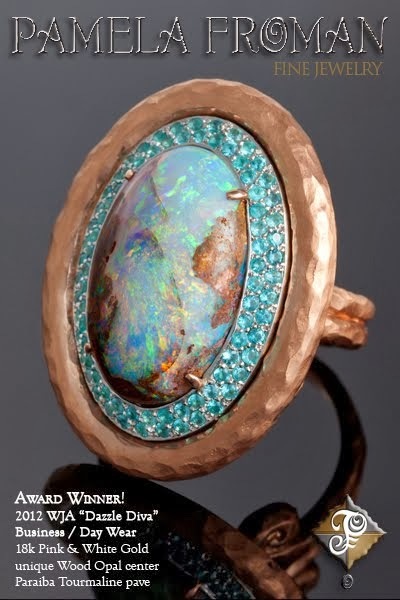 She was awarded the title of "Rising Star" when she debuted her collection of fine jewellery at the 2006 JCK Show in Las Vegas. 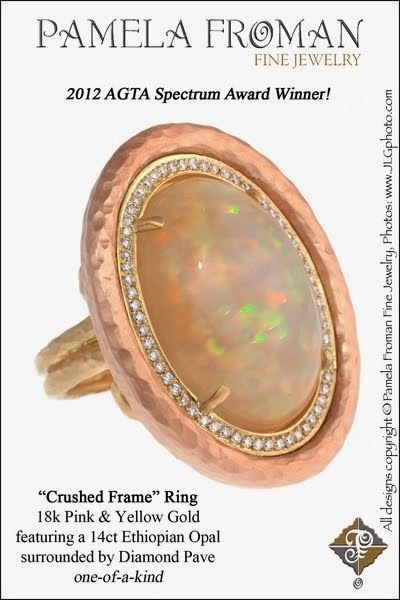 Froman hand-selects exquisite diamonds, unique gemstones and rare pearls, pairing them with platinum, 22k and distinct colours of 18k gold to create her unique pieces. 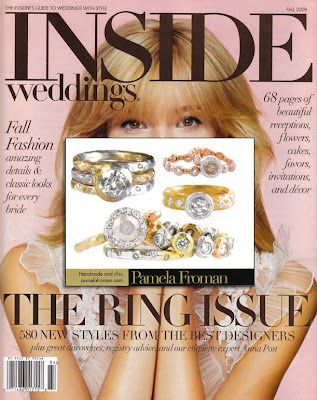 Check out Pamela's latest crushed gold wedding and engagement ring designs in "The Ring Issue", the Fall 2008 edition of Inside Weddings Magazine! This fall, be sure to check out the new fashion reality show from the people who brought you America's Next Top Model! Stylista is an Apprentice-meets-Devil Wears Prada series that will debut on October 22 at 9pm, directly after it's popular sister series, Top Model. The show stars Anne Slowey, a fashion director at Elle and real-life Miranda Priesley, who will put 11 candidates through the ringer as they vie for a coveted editorial position with the popular fashion magazine. Pamela flew to New York earlier this year to style Ms. Slowey for a few of the episodes. 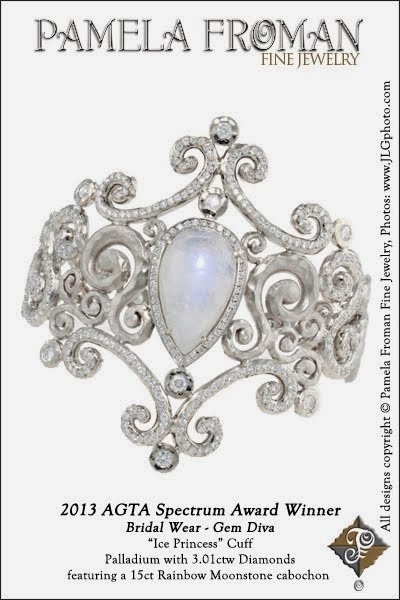 So, while you're watching Anne pick apart the enthusiastic underlings, try to keep an eye out for Pamela Froman's signature Crushed creations adorning the newly dubbed "Queen of Mean." 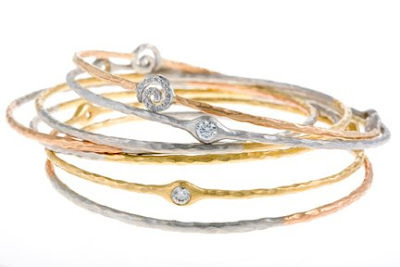 A stack of 18k Pink/White/Yellow Crushed Bangles like what Anne wears on the show.